If you have 15 minutes spare, you could listen in to a walk I took around So Kon Po with Radio 3’s Annemarie Evans. Most people only visit the area during the annual Rugby Sevens tournament but there are half a dozen things to see beside the stadium. 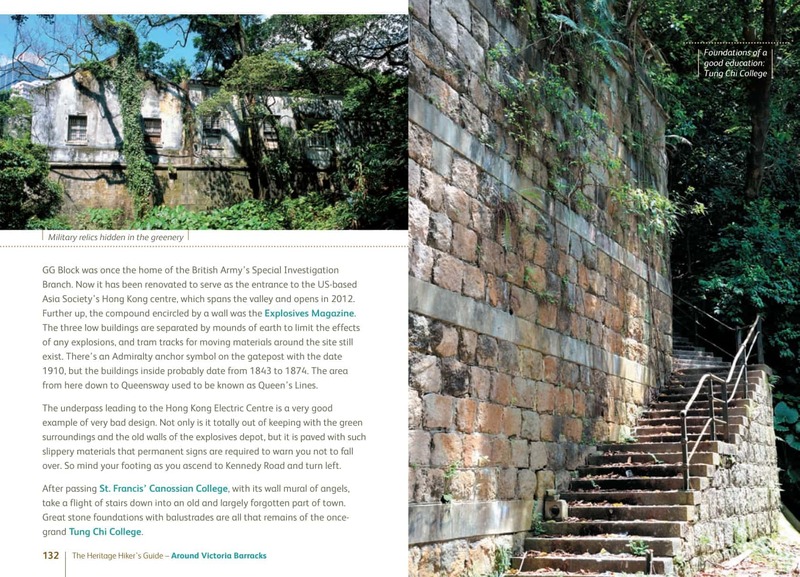 As well as the headquarters of the Po Leung Kuk, an organization set up in the 1870s to combat the then-commonplace trade in slave girls, the quiet district hosts a monument to the Happy Valley racecourse disaster of 1918, the remains of squatter villages, a Confucius Hall and a surprisingly large and imposing chapel within the walls of St. Paul’s Convent, which is still run by the order of French nuns who founded it. I also spoke to man-about-China Paul French (no relation to the convent) about local heritage preservation in general for his Ethical Corporation podcast, again listenable at the link. 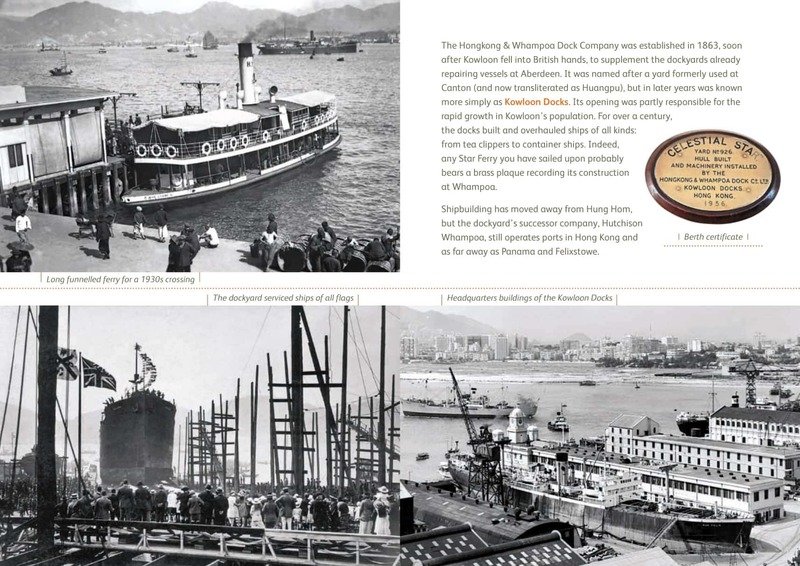 The full So Kon Po walk is described and illustrated in The Heritage Hiker’s Guide to Hong Kong. I don’t have any images handy from this route, but below you can see some other spreads from the book. There’s a nice mix of modern and archive photography. Click to see at larger size.